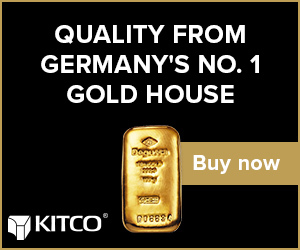 (Kitco News) - Newmont Mining Corp. (NYSE: NEM) Thursday reported a rise in its first-quarter profit as the price of gold climbed, although production eased from the same quarter a year ago. Net income attributable to shareholders was listed at $192 million, or 36 cents per share, compared to $47 million, or 9 cents, in the same quarter a year ago. The company put its adjusted net income at $185 million, or 35 cents, compared to $136 million, or 26 cents, in the prior-year quarter. The result was ahead of market expectations for around 33 cents per share, according to news reports. Newmont said revenue rose 8% to $1.8 billion largely due to higher gold prices. The average realized price for gold was $1,326, an improvement of $107 per ounce over the prior-year quarter, while the average realized price for copper rose 20 cents to $2.88 per pound. Gold production decreased 2% to 1.21 million ounces due to lower leach activity at Yanacocha, lower grade and scheduled maintenance at Boddington, and lower grade and reduced recovery at CC&V that is related to stockpiling of concentrate for shipment to Nevada, Newmont said. The declines were partially offset by improved production from Merian, Tanami, Carlin and Ahafo. Copper production fell 8% to 12,000 tonnes. Gold all-in sustaining costs rose 8% to $973 per ounce for the quarter on higher cash costs and increased advanced projects and exploration expense, although this was in line with company expectations, Newmont said. “Costs and production remained in line with guidance, and our next generation of profitable mines – Ahafo North, Yanacocha Sulfides and Long Canyon Phase 2 – advanced on schedule to the next stage of development study,” said Gary J. Goldberg, president and chief executive officer. The company kept gold-production guidance at between 4.9 million and 5.4 million ounces for 2018 and 2019. Longer-term production is expected to remain stable at between 4.6 million and 5.1 million ounces per year through 2022, excluding development projects which have yet to be approved, Newmont said. Newmont, which earlier this week announced a dividend of 14 cents per share, reported that the company ended the first quarter with net debt under $1 billion. Newmont also said it had $3.1 billion in cash.